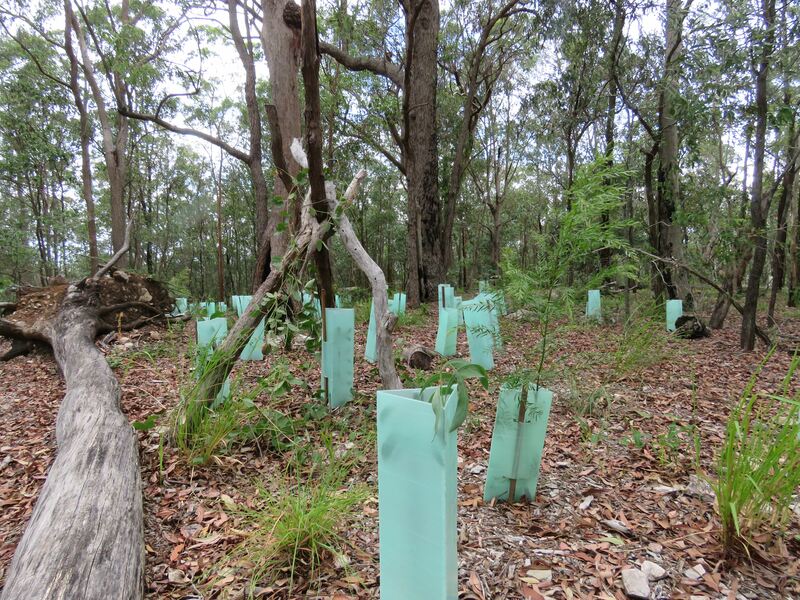 Our Griffith Mates partners have again provided valuable for restoration of our Fox Gully Bushcare site. At the last event for 2016 we first checked what species can now be found in the Small Bird Habitat. 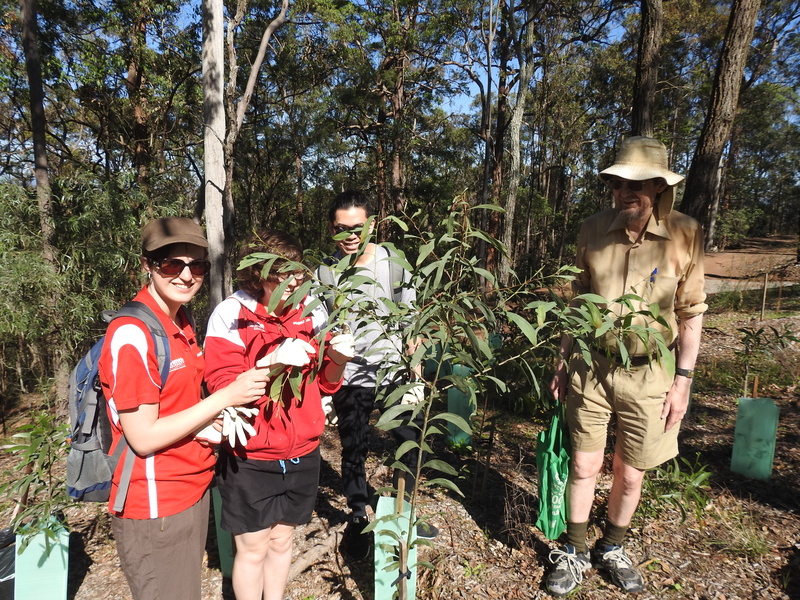 Griffith Mates participated in the 2015 National Tree Day planting of the Small Bird Habitat so it was great to be able to show the increase in species diversity in just one year. 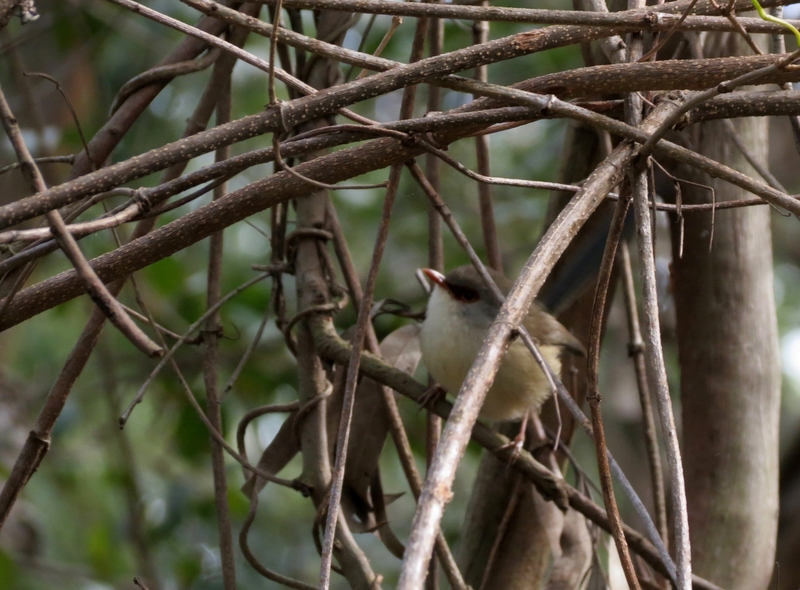 The Small Bird Habitat is an initiative to create the specialised habitat our small forest birds like Variegated Fair Wrens Malurus lamberti. These small insect eating birds are valuable partners in controlling pests in our backyards. Building an effective habitat requires attracting a diverse range of insect species to provide food. Finding several Painted Pine Moth Orgyia australis caterpillars on site is a good excellent start. 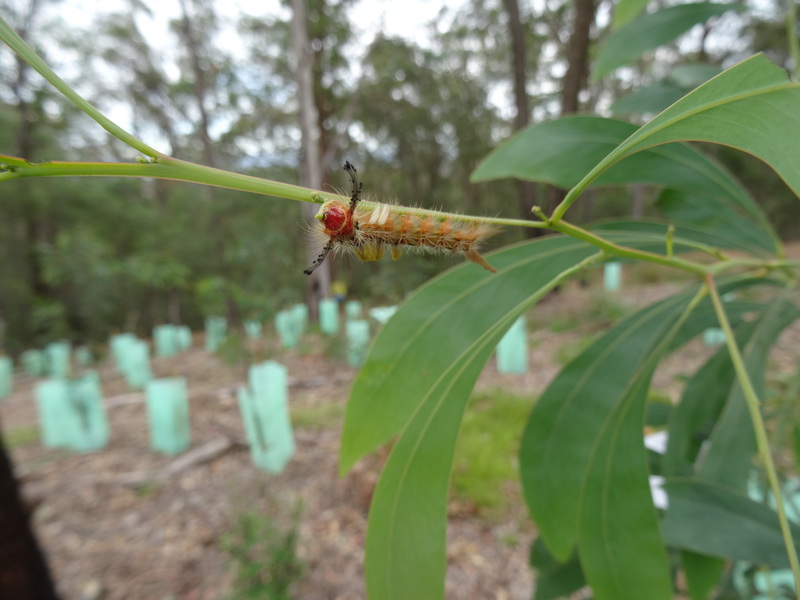 We inspected the Imperial Hairstreak Jalmenus evagoras butterfly caterpillars on Sickle Leaved Wattle Acacia falcata. I explained that the caterpillars are protected by “Kropotkin” ants – Small Meat Ant Iridomyrmex sp. 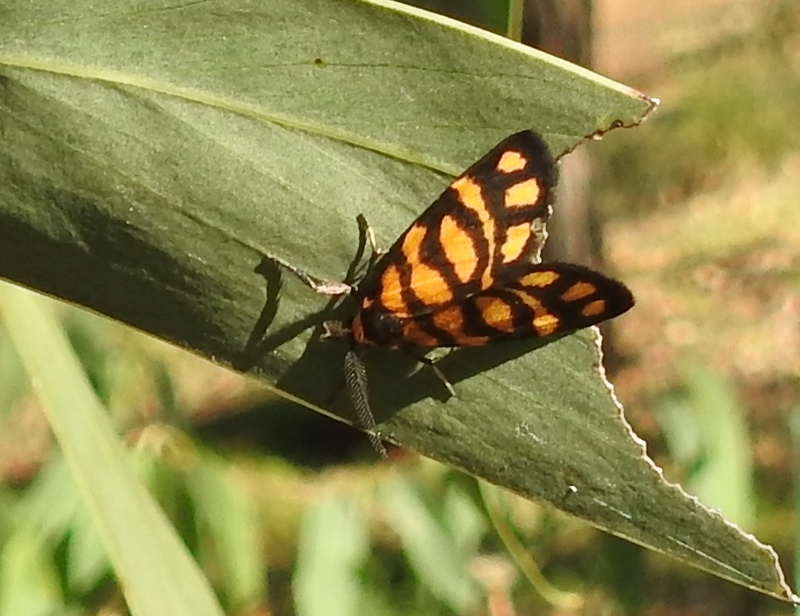 We also found a Lydia Lichen Moth Asura lydia with its curious eyelash like antlers. 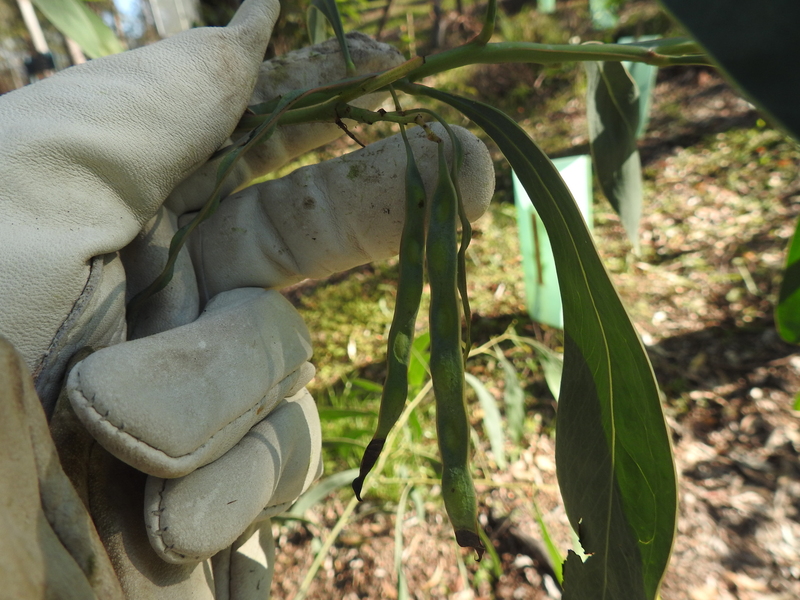 Other excellent signs of habitat building progress was finding seed on Sickle Leaved Wattle Acacia falcata, Native Sarsaparilla Hardenbergia violacea and Kangaroo Grass Themeda triandra which will provide food for seed eating birds. 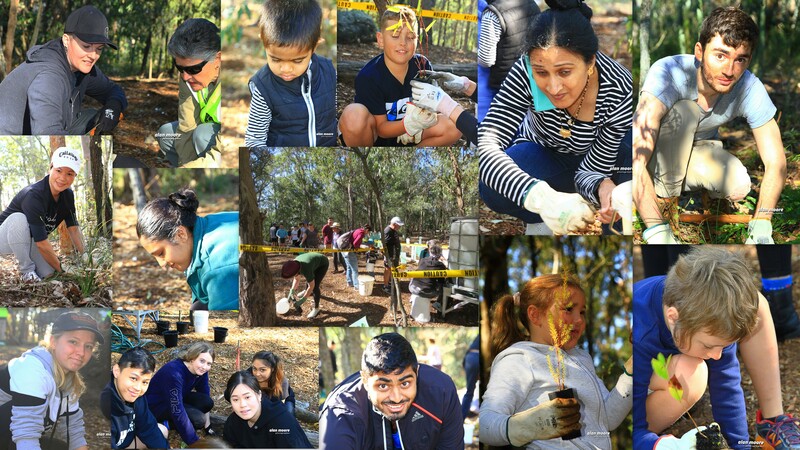 After inspecting the Small Bird Habitat progress we moved onto our Ochna Blitz. Mickey Mouse Plant Ochna serrulata is a deep rooted invasive garden plant with attractive red and green berries that are eaten by birds then spread into our bush habitat. The objective is to start breaking the weed cycle by collecting, bagging and dumping the seeds then poisoning the plant. Eradicating or at least reducing Ochna in the Reserve will take years but systematic clearing of smaller areas will progressively reduce the spread. We look forward to partnering with Griffith Mates again in 2017. 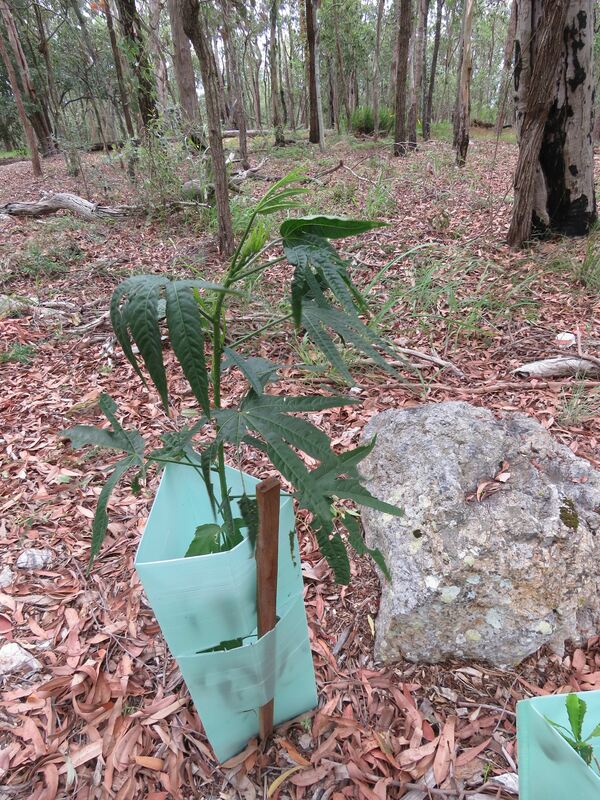 Our 2015 National Tree Day planting will restore important small forest bird habitat. 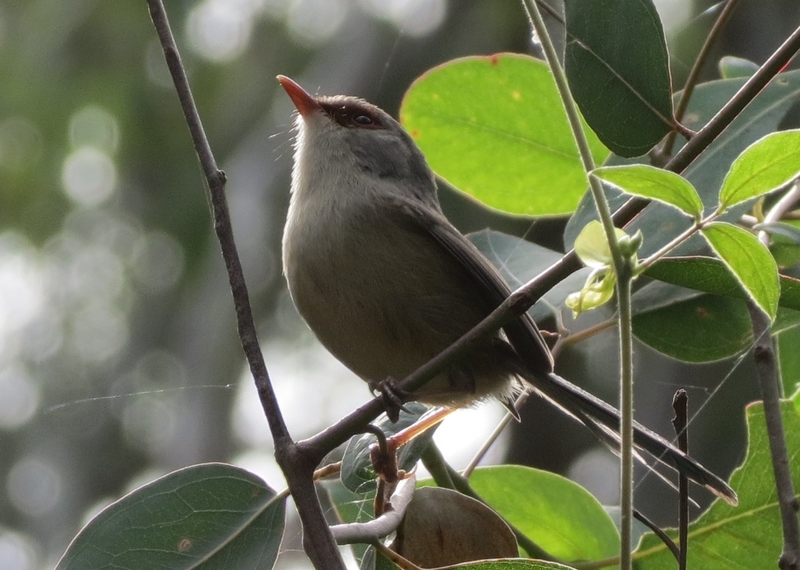 So it was a real pleasure to see a family of Variegated Fairy-wrens Malurus lamberti among the Wonga Wonga Vine Pandorea pandorana growing just 100 metres south-east of the site. This is the first reported sighting near the Eastern Outlook Track. I was not able to get a photo of the male with all his bright colours. The aim is to create the scrubby tangled habitat where larger like Crows and Butcher Birds cannot get in to rob nests of egg or chicks. 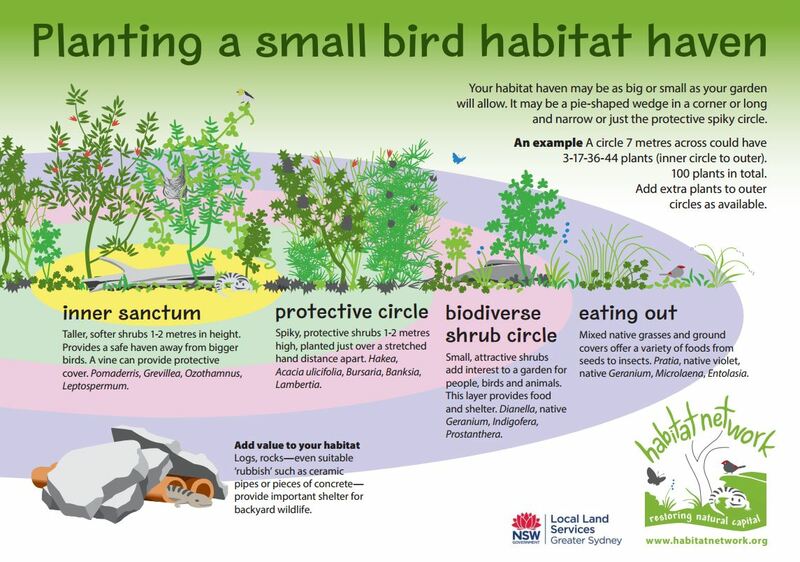 Habitat Network has published an excellent guide for creating small bird habitat. 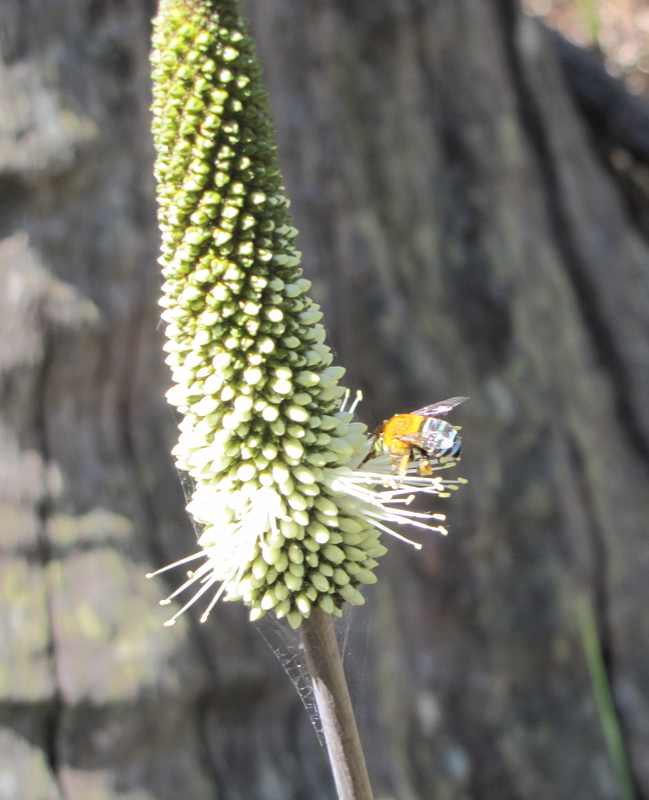 A Blue Banded Bee – Amegilla cingulata getting nectar from one of our special Bottle Brush Grass Tree – Xanthorrhoea macronema. It is particularly pleasing to photograph my first Blue Banded Bee today because I am currently writing an article on Pollinator Links for the Southside Community News. 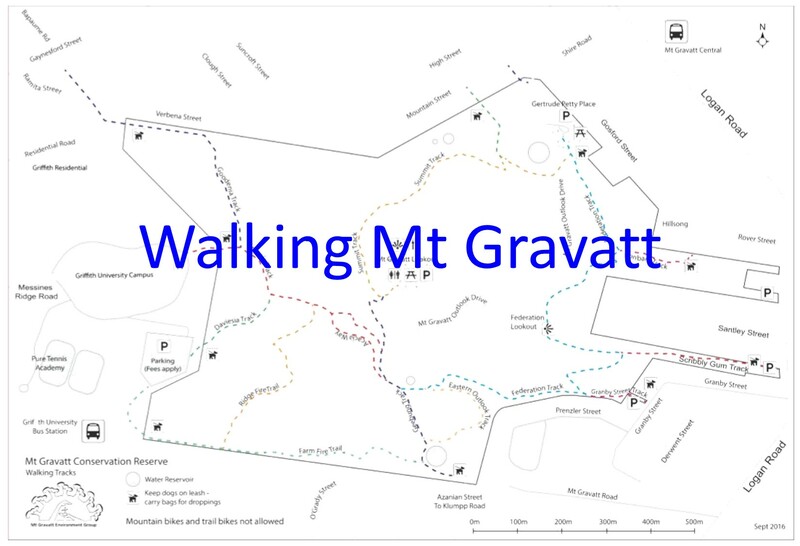 Pollinator Links are a form of wildlife corridor that has potential to work in our fragmented urban landscape and they are a key strategy in our Mt Gravatt Showgrounds Precinct Landscape Plan. Blue Banded Bees are an Australian native bee and an important pollinator of our food crops like tomatoes. Some plants will only release pollen when the flower is vibrated rapidly – buzz pollination. The importance of these and other native buzz pollinators is highlighted by the fact that the commercial honey bee – Apis mellifera, cannot perform buzz pollination. The Blue Banded Bees website cites significant benefits for crops such as tomatoes, kiwi fruit, eggplants and chillies. Blue Banded Bees are thought to improve yields in Australia by at least 30% overall. 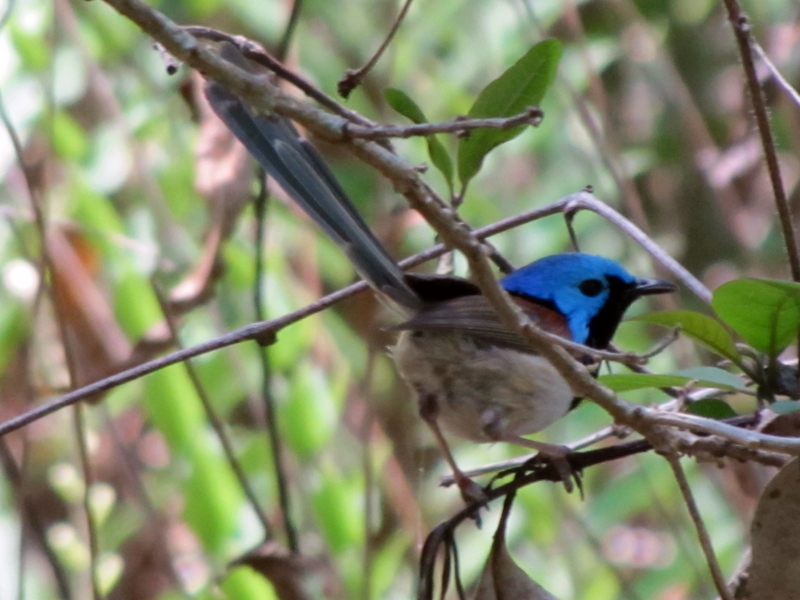 I also managed to photograph one of our beautiful Variegated Fairy Wrens Malurus lamberti. A male in full breeding colour. There was a least one female around but she would not sit still for a photo. These delicate little birds like scrubby areas where they are safe from predators, often Lantana. 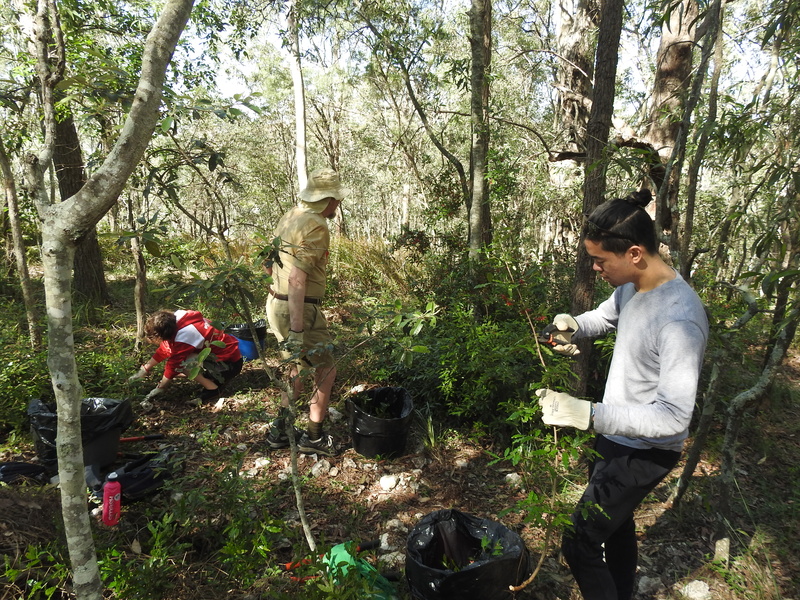 So part of our bush restoration work is ensuring there is that there is replacement habitat established before we remove large areas of Lantana. As we establish Pollinator Links we aim to bring special birds like these back into our community backyards.